This week the Edinburgh Festival kicks off, and if you are going for the first time click this text for a travel over view of Edinburgh to get you in the spirit. It is where actors, directors and comedians work their art, test new routines and experiment with new writing and their own ability. It is hard work, very hard work as the PR alone to convince critics, writers and public to attend your venue is endless. You can work every day of the week leafleting and promoting, from first thing to last, with a short break to perform. Digs, that is where you stay, food and drink is expensive and you will probably end up losing a lot of money and gaining much experience. So, is it worth it. The years Jean Heard has done Edinburgh with both Mutton and her one woman show Royal Mistresses, she has been sponsored (by Tena Lady). 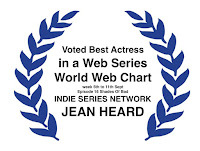 But the moment on stage is so quickly gone and the myth of talent forgotten that she decided to make a web series. Guests stars have included our Olympian turned actor in 10 episodes of Shades Of Bad. That is a longer stretch than most other web series ever get to. Derek Redmond was a world champion and Olympian in that famous 4 x 400m relay team. The 800m now a celebrity commentator and speaker is regularly on Sky, but also looks like he might have a great career as an actor. And he has a flowing and cache value which is a must to sell. He also came with his own Bentley! Click here for one of his episodes. But where is your audience. Games, sport, drama? To be honest, most TV is fly on the wall and watching one of her many guest stars to Shades OF Bad in CELEBRITY BIG BROTHER, it is obvious that the talent TV stations are looking for to gain audiences is not all Shakespearian. Click this text for the Shades Of Bad interview with James Whale. But here is the point, for far less money that a venture to perform in Edinburgh one can put a performance on the web and use that link to send to producers all over the world. To gain an audience. The show that started in a kitchen has this ambitious episode out this week, a night shoot in the woods as Doris and friends dump a dead body. Click this test for Episode 56. If you need to understand audiences and performance then you need to look no further than the Hot Crazy Matrix. That has now hit well over 15 million views which will have made the owners very rich. Plus they are in talks with Hollywood producers as to how to harness that into a movie or TV series. The web is amazing if you can go viral. Wilma parodies the Hot Crazy Matrix in Shades Of bad's next week's episode as she convinces Doris she knows how Doris can find a man. See next weeks episode early by clicking here. An MCN is a multi channel network and all the majors are now starting to have them. This is like a record label or publisher ..... an MCN becomes your label and aids you. Shades Of Bad YouTube channel signed to Makers Studio / Disney. You still output still goes on all the many many platforms from YouTube and DailyMotion down to the smaller ones and future ones like OPERA TV app as we move back towards the TV. For us the MCN had not really worked, they do not even answer our emails to them. Also YouTube has not been our best responder, so where to pitch your venue will take time to learn. What comes out of the web live theatre is your audience are real, they react and you get feed back. You can research watch trends and change to fit their requests. 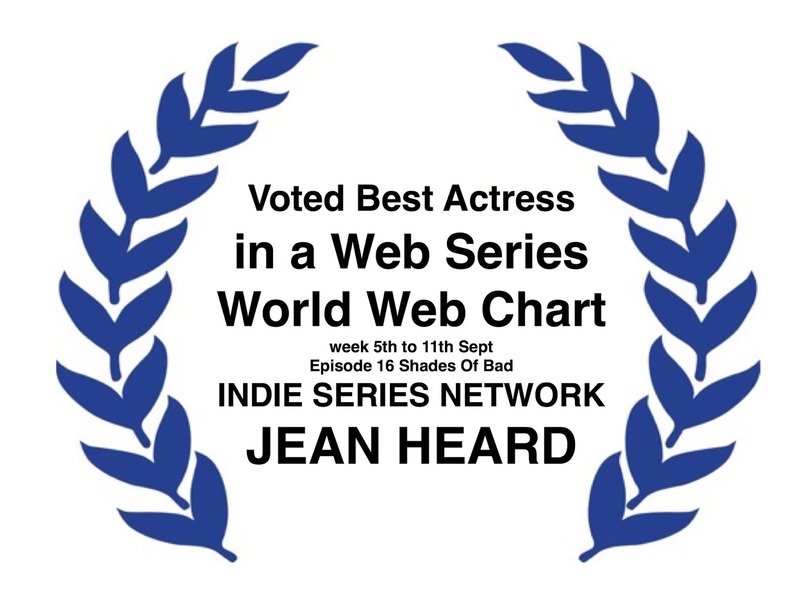 Doris Shades Of Bad saw the show reach number 2 in the US charts and Jean be voted best actress twice last year in the USA. But this takes time so you realise that the word series means just that, you need content, regular content. one, three five is not a series. That is a four parter. A series needs to be longer, released at regular intervals so the web spiders can see you are a content provider and will work with you. We were not expecting a spin-off travel show, but that has become bigger that the drama and we have already had an IP purchase enquiry. Being able to provide content that the audience may want to consume becomes worth money. So, Doris now Visits. Click here for just one of over 60 travel films we have put up in just two months on Daily Motion. The whole of next year is now booked up with trips far and wide. We never got that from Edinburgh or any film festival. So we have moved onto the OPERA TV store as an app, like Netflix. You would need a very new TV or new Samsung or Sony to have a TV smart enough to freely find all apps and not just listed pre-installed ones. Click here to see what our TV channel looks like. We are soon going to move into a version of our web site and Daily Motion output to house other people's videos. These are travel videos aimed at a style. Hi Doris, I thought your Doris Visits viewers would like to see (where ever). So, if you want to make a film of where ever you go, see the style and follow the directions on the page. Any exposure is good exposure, learn how to use it and build numbers. Click here for the page. The example on this page was shot on an old phone camera.